General Stanley McChrystal and his staff insulted most of their White House bosses in remarks to Rolling Stone magazine article "The Runaway General." 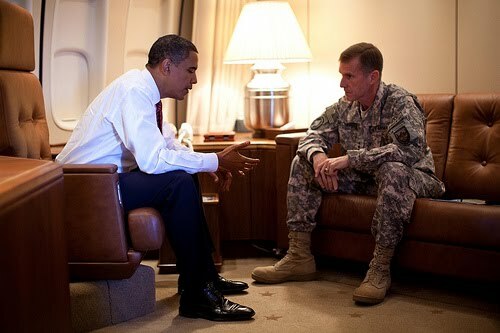 The general has already submitted his resignation prior to meeting with a furious President Obama scheduled for today. The question begs to be ask,"Didn't General McChrystal know that the interview in Rolling Stone magazine would lead to his firing?" We expect the media and talk radio to focus solely on this topic over the next couple of days... How will President Obama fare from a media perspective will be interesting.